Coimbatore is a bustling city with many attractions. It is an important commercial centre and draws many adventurers who want to explore the mountains beyond. Whether the trip is for work or pleasure, the best way to explore Coimbatore is in a car as the city unravels one surprise after the other. The commercial area of Coimbatore is where one can enjoy the most prolific shopping choices. Some of the prominent shopping hubs are Raja Street, Town Hall and Oppanakkara Street. The city also has many malls. When in Coimbatore, travellers must spend some time temple-hopping to admire the intricate and majestic Dravidian architecture. Located on the top of a hill, the Marudamalai Temple is close to 900 years old. Apart from its main tower adorned with sculptures, other highlights of this revered sight include the water tank and sacred stream along with the wide stepped entrance. The Black Thunder Waterpark is a great place to spend some time with family and friends. There are many destinations near Coimbatore where one can drive and explore within a few hours. Ooty is easily the most famous hill station in Southern India and travellers can enjoy a scenic drive to more than 2000 metres above sea level in the lap of the Nilgiris. Coonoor is another mountain destination that is close to Coimbatore – many prefer the more secluded vibe of this town to Ooty. Self drive cab services in Coimbatore are the best way to soak in the beauty of the mountain roads. Thickly forested hillsides echoing with the calls of birds are juxtaposed with neatly manicured tea gardens that stretch for miles. For those who are looking to experience some green Kerala countryside, then the 50-km drive to Palakkad is an ideal short trip option. Malampuzha Dam is one of the highlights near Palakkad – one can venture into the Parambikulam Wildlife Sanctuary and engage in some bird watching. The forests here are home to populations of elephants, gaurs and tigers and many more species. Some of the other scenic destinations from Coimbatore include Mangalam Dam, Vaideki Waterfalls and the quaint town of Kotagiri. 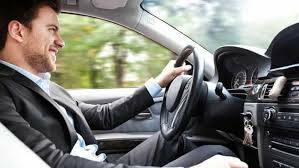 There are many advantages of a self drive taxi service in Coimbatore compared to regular cabs and public transport. Travellers enjoy complete privacy and can move around as they wish. Impromptu stops and detours are not a problem and the extra space vacated by a chauffeur is much welcomed when travelling in a group. Car rental platforms like Zoomcar offer a very wide range of cars for all purposes which can be easily booked via an app. Assurances like all-India permits and 24/7 on-road support add an extra layer of security. From spicy delicacies to pristine mountain air, Coimbatore is a beautiful stage for adventure. A gateway to the beauty of the Nilgiris and an important cultural centre in its own right, one can truly feel the exuberant vibe of the town by getting behind the wheel and travelling in total freedom.